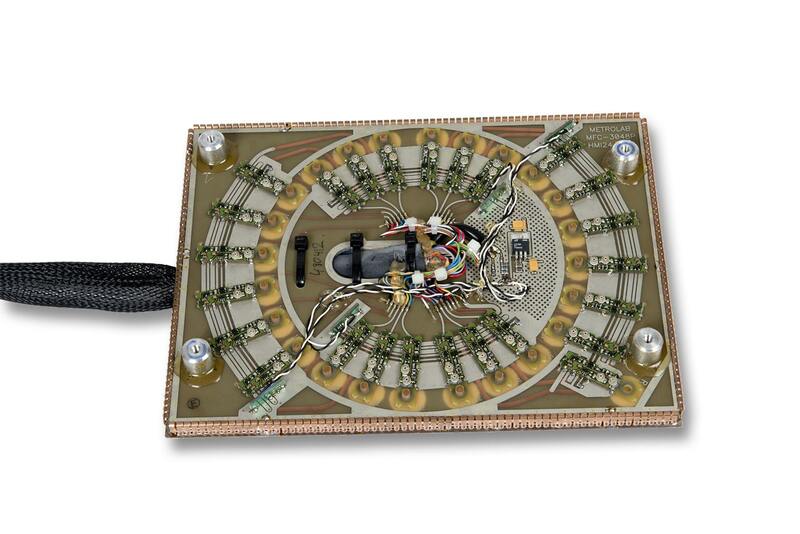 The NMRNuclear Magnetic Resonance. 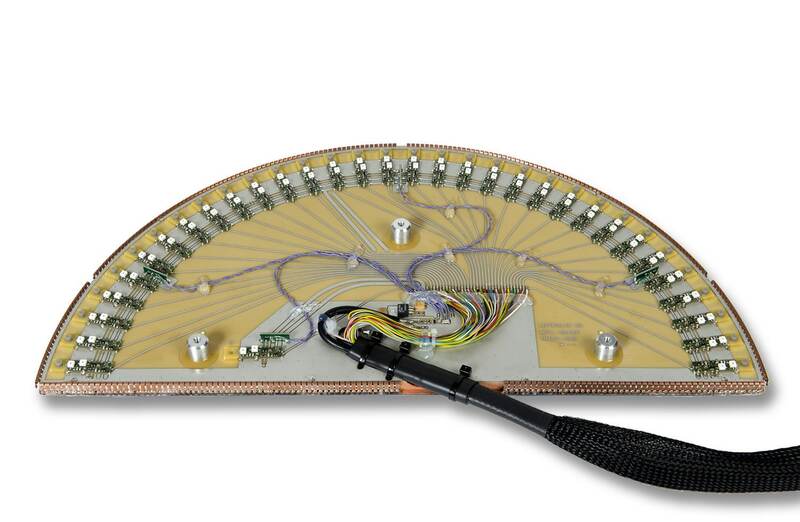 A resonance phenomenon seen when you irradiate a sample in a magnetic field with an RF field.... probes are precision-mounted in a semi-circular pattern on a lightweight and perfectly flat composite base plate. 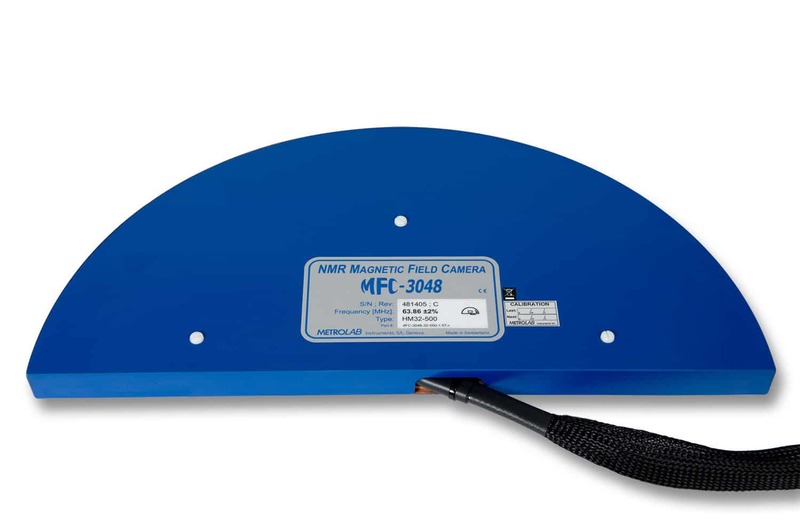 The MFC3048 Probe ArrayFor Metrolab's Magnetic Field Camera, the probe array is a semi-circular plate holding up to 32 NMR probes.... is completed by a shielded cover and a 4 m long cable, with an industrial-strength multi-pole connector to connect the Probe ArrayFor Metrolab's Magnetic Field Camera, the probe array is a semi-circular plate holding up to 32 NMR probes.... to the Main Unit. A simple normalization procedure minimizes any remaining probe-to-probe variations. 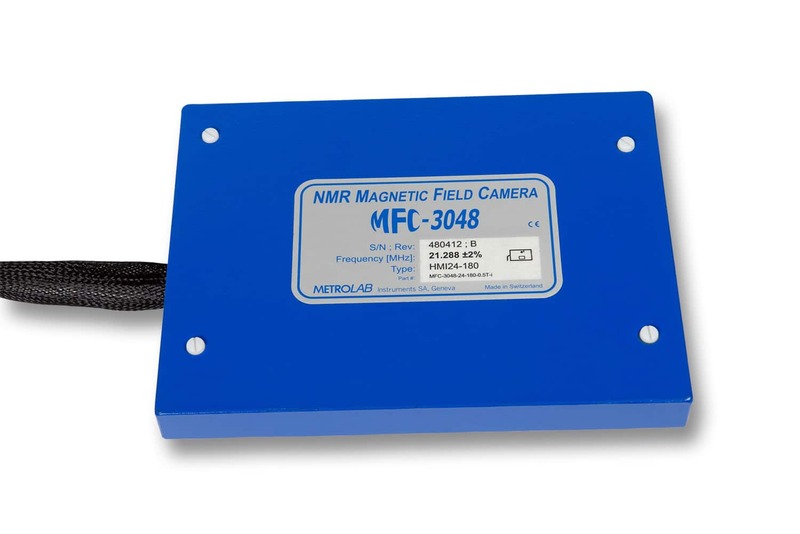 Each Probe ArrayFor Metrolab's Magnetic Field Camera, the probe array is a semi-circular plate holding up to 32 NMR probes.... is specifically tailored to your magnet, and requires specifying the number of probes, the shape, and the field strength. For a supplemental engineering and tooling charge, Metrolab will build a non-standard configuration to your specifications.